Coup De Main presents: Fall Out Boy’s 2018 New Zealand show. After teasing Australasian fans yesterday, Fall Out Boy have now announced that they will be retuning to New Zealand next year to play Auckland’s Trusts Arena Waitakere on March 7th, in support of their seventh album, 'MANIA' (out September 15th). Fall Out Boy fans can access a pre-sale from the band’s website on Monday, July 17th, with tickets going on sale to the general public on Thursday, July 20th from Ticketek. "The Chicago natives have been perennial chart toppers and sold over 7.5 million albums since emerging as a mainstay of emo’s mid 2000s heyday. A generation grew up singing their massive hits “Sugar We’re Going Down Down”, “Dance, Dance” and “This Ain’t A Scene It’s An Arms Race” before the band took a three year hiatus and re-emerged armed with even more hits in the form of 2015’s smashes “Centuries” and “Uma Thurman”. 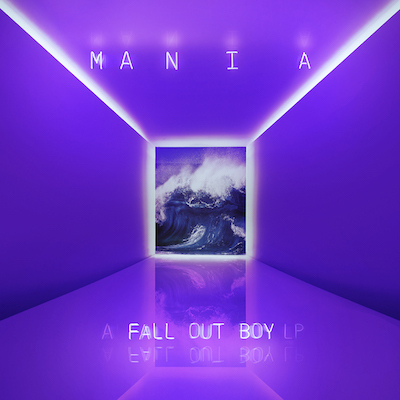 New album MANIA is due out in September and the group’s just-released latest single “Champion” is already making waves, once again proving Fall Out Boy’s ability to keep coming back strong with their trademark pop culture sampling lyrical brilliance and punk energy infused pop songwriting. Come join Fall Out Boy for a massive dose of mania and more hits than you can even remember knowing. One of the great live bands of a generation promise to make a night of it for you." MusicReview: Fall Out Boy - Trusts Arena, March 2018. MusicFall Out Boy & Foxes performing 'Just One Yesterday' together live at Reading Festival 2013. MusicFall Out Boy feat. Foxes - 'Just One Yesterday' music video.